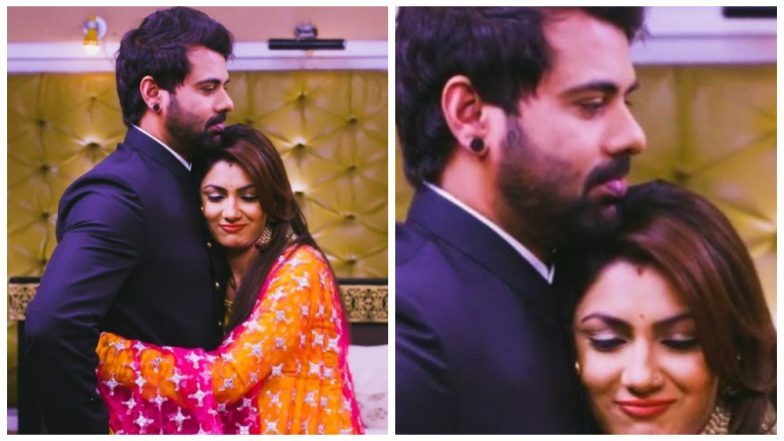 Kumkum Bhagya April 11, 2019 Written Update Full Episode: Will Aalia get Caught to Prevent Rhea From Abhi’s Wrath in Prachi’s Robbery Case? Today’s episode of Kumkum Bhagya starts with Abhi (Shabir Ahluwalia) goes with a bottle of water to help Pragya (Sriti Jha) clean her face after spilling Kumkum on her. He comes back to find that she is not there anymore. Pragya meanwhile has cleaned her face and is walking up the temple stairs again. Abhi doesn’t see her because he has turned his back to the crowd. When Pragya goes inside the temple she meets Daadi who is praying to meet Pragya just once more. They both begin crying on seeing each other. Meanwhile, Prachi and Shahana are walking around college discussing Ranbir. Prachi tells Shahana that Ranbir is not a good guy because he always fights with her. Shahana tells Prachi that fighting is the beginning of love. Meanwhile, Rhea is worried about the situation at home. She calls up Aaliya who is just done with a meeting. Aaliya tells Rhea that the security expert caught her lying and she couldn’t stop his investigation. This makes Rhea worried about going back home in the evening. At the temple, Daadi asks Pragya to meet Abhi too. At this point, Pragya tries to leave. She begins to run when she hears Daadi call Abhi to meet her. Daadi tells Abhi that Pragya is in the temple and Abhi goes around trying to find Pragya. Pragya panics and ends up sitting inside Abhi’s car in the parking lot. Abhi doesn’t notice her but sees someone else that fits the look Daadi described. He runs up and taps the lady on the back. However, she is not Pragya. Rhea, on the other hand, is rushing to get home and sort out the problem of the necklace robbery. However, she is surprised when she finds stickers labeled ‘chor’ all over her car. Her friends tell her that Prachi took the stickers from the poster and pasted in on her car. In the precap, Abhi tells Dadi that he went to search Pragya but she was not there. She is not good like you think, and says she is gone. Rhea is about to slap Prachi for sticking the stickers. Prachi holds her hand.